​Wolverhampton Wanderers are looking to sign captain Conor Coady to a new deal which would bring him among the club's top earners, according to reports. Coady and the rest of the squad received a 50% pay rise when Wolves got promoted to the Premier League last season, but since then have seen Portuguese internationals Joao Moutinho and Rui Patricio join the club on much higher salaries. According to the ​Telegraph, management at Molineux are hoping that an improved salary and the promise of being a key figure for Nuno's side will stop their captain from looking elsewhere with multiple big clubs rumoured to be interested in the Englishman. The Liverpool academy graduate has been impressive so far this term as the anchor in ​Wolves' back three, helping the team to a mid-table spot after 21 games - ten points clear of the two teams (Cardiff and Fulham) that were promoted alongside them last season. 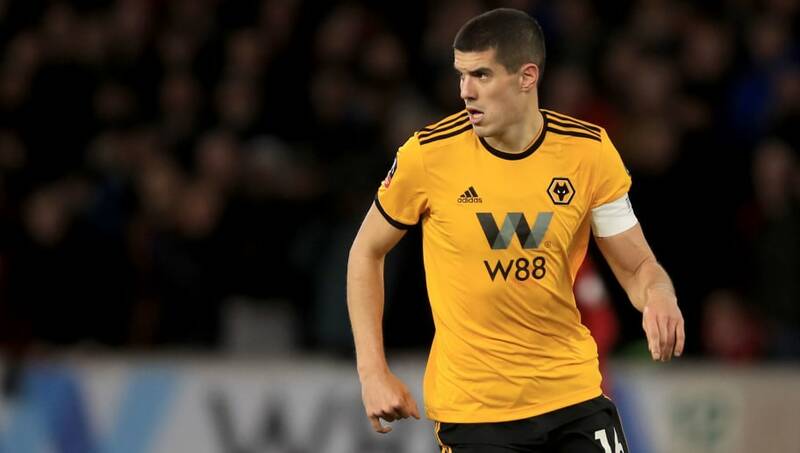 Coady's performances have been so good that both ​Arsenal and former club Liverpool are reportedly showing an interest, while England manager Gareth Southgate was in the stands to watch the defender as Wolves knocked the league leaders out ​in the third round of the FA Cup. After coming through the academy ranks of his boyhood club, Coady made just one Premier League appearance for the Reds back in the 2012/13. After a loan spell with Sheffield United, he joined Huddersfield ahead of the 2014/15 campaign and a year later made the switch to Wolves for around £2m. The defender, who will face ​Manchester City on Monday night, has appeared in each one of Wolves 21 games in the Premier League this season, enjoying huge success against the traditional big sides this season. Only Liverpool and Manchester City have more than Wolves' nine points against the top six so far in 2018/19.